The bacterium that causes tularemia in animals and humans can survive in a dormant state in nature for a long time before causing new outbreaks. This according to a new doctoral thesis at Umeå University. The thesis also shows a method for tracing if the bacterium is used as a biological weapon in, for example, terrorist attacks. "Its potency to become dangerous in small amounts unfortunately makes this bacteria an ideal candidate as a biological weapon. 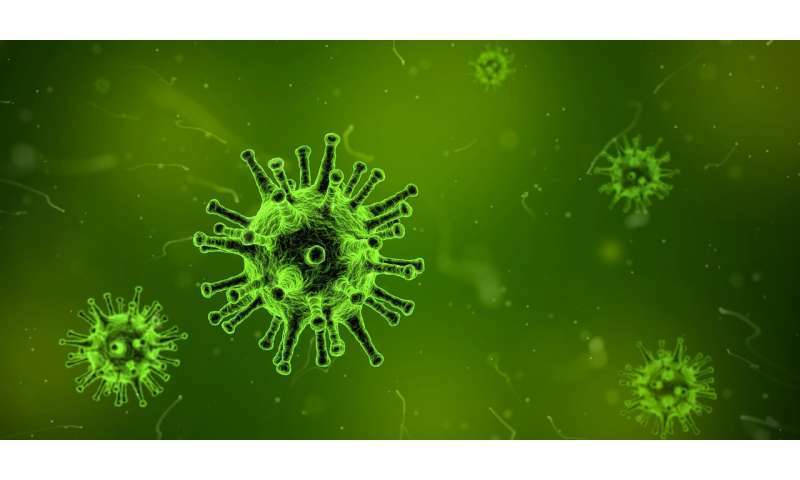 Therefore, it is important that we have found a way to trace the origin of different bacterial cultures," says Chinmay Dwibedi, doctoral student at the Department of Clinical Microbiology at Umeå University and the Swedish Defence Research Agency, FOI. In his thesis, Chinmay Dwibedi has studied outbreaks of tularemia, also called 'rabbit fever', in Sweden and other European countries. Tularemia is caused by the bacterium Francisella tularensis and is a disease that infects both animals and humans. In Sweden, people have so far only suffered from a mild form of tularemia. Already at a modest dose, variants of the bacterium can cause more serious disease attacks with deadly outcomes. Therefore, during the Cold War, the superpowers experimented with Francisella tularensis as a biological weapon. In one study, the Francisella tularenis bacterium was analysed in infected people and animals during repeated outbreaks in Örebro County in mid-Sweden. It was then discovered that the bacterial genome remained identical for up to nine years. Furthermore, the bacterium could survive for four years without nutrition in a laboratory experiment. In another study, the researchers could see that the bacterium could migrate several thousand kilometres through continental Europe with little change in its genome. "The results indicate that there is a natural storage effect for the bacterium that can be compared to a microbial seed bank, so that it enters a dormant state between outbreaks before reactivating and causing new infections. It also appears that the bacterium has the ability to migrate rapidly for long distances leaving little evolutionary signals to map its movement," says Chinmay Dwibedi. In his thesis, Chinmay Dwibedi shows a promising method that Umeå researchers have developed to trace the bacterium in its steps. By enhancing certain genetic signals, it could be seen that some genetic variants and mutations, present in low numbers, benefited from life in the laboratory. These mutations were strategically enriched and could be used as signatures. These bio-signatures made it possible to determine whether an outbreak was caused by a natural infection or whether it was, for example, the cause of a terrorist attack in which bacteria had been cultivated in laboratories.